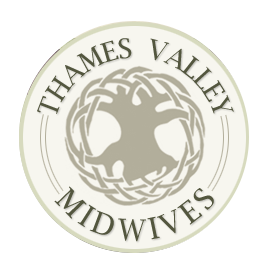 The Thames Valley Midwifery team have put together a compilation of educational videos which you may find helpful in preparation for your new arrival. Please note, some of these videos contain graphic content, so viewer discretion is advised. Video describing what your midwife will do during your routine prenatal visits. Documentary on pregnancy and development of the growing fetus from conception to delivery. Contains graphic scenes during the labour and delivery of the baby. Australian video on movement during early labour, active labour and postpartum. It is helpful to practice before you go into labour. Effective breathing techniques to practice before you go into labour. British video which discusses good posture in pregnancy, strengthening abdominal muscles, strengthening the buttock muscles, good sleeping positions for comfort, how to get out of bed properly, relieving tension, and pelvic floor (kegel) exercises. As midwives, we really urge our clients not to use at home dopplers and instead listen to their bodies, their babies, and their own instincts. Please page your midwife if your baby is not moving or you have concerns about your baby’s movements. Lovely labour at home and home water birth video. Very graphic video of a family with a midwife in hospital having an unmedicated birth. You will notice the mother has a monitor attached to her belly during this video – we call this continuous electronic fetal monitoring. The video shows the baby crowning, the “burning ring of fire” and delivery. Ricki Lake discusses reasons for choosing a natural birth and ultimately a home birth with her full length documentary “The Business of Being Born”. Home birth demonstrating delivering a baby in a squatting position. Mildly graphic scenes. Short video on a home water birth. Some graphic scenes. British TV show – this video shows how intense contractions can become when having a baby. This family is giving birth in a hospital environment using Nitrous Oxide gas for pain management. There are some mildly graphic scenes. Simulated video of a cesarean section delivery (animated). This is a step by step video based in Saskatchewan on a planned c-section birth, it contains some useful pointers as to what a c-section may look like (with some slight differences depending on which hospital you are giving birth). If your midwife is present, she will provide newborn care and discharge your baby unless your baby is in the NICU. Epidural placement at LHSC hospital. Video describing what your midwife will do in the postpartum period. Demonstration on how to bath your new baby!! Demonstration on how to swaddle your new baby. Demonstration on the “5s Method” for soothing your new baby. How to change a diaper and dress your new baby. Dr. Jack Newman’s guide to breastfeeding. This video was developed for babies at Sick Kids Hospital in Toronto, but it has excellent demonstrations to show you good positioning and latch. How to safely make up a formula bottle, if you have chosen to formula feed your baby. This gives a short guide on how to clean bottles, pumping equipment, soothers, and any other feeding equipment you may be using to feed your baby or use for pumping your breast milk. The video shows a steam sterilizer, but other sterilizers can be used, or you can watch videos of a boiling method, if you prefer. Techniques on how to burp your baby. A short video demonstrating skin to skin after birth and in the postpartum. No demonstration, but outlines the benefits of skin to skin with your baby. Midwife Penny Simkin discusses delayed cord clamping – a NORMAL practice every midwife uses unless a significant complication with the baby requires us to cut the cord immediately. Obstetricians are beginning to practice delayed cord clamping.